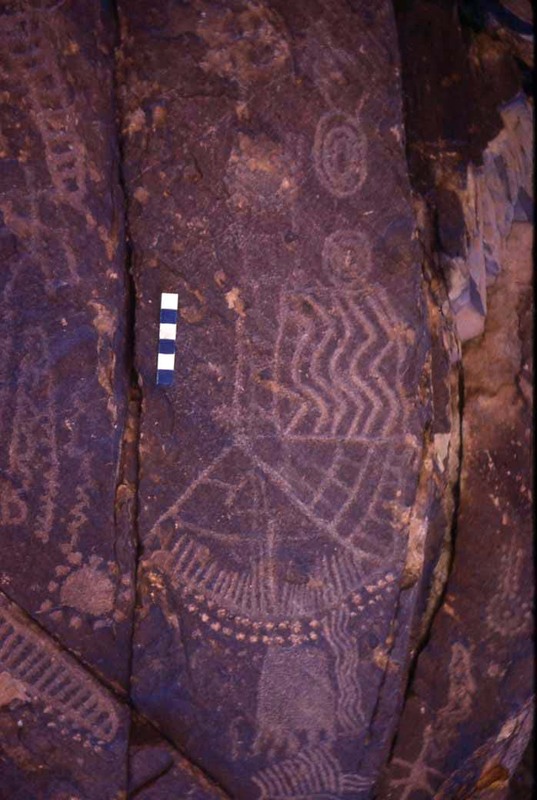 The scale is 6 inches long and 1 inch wide. 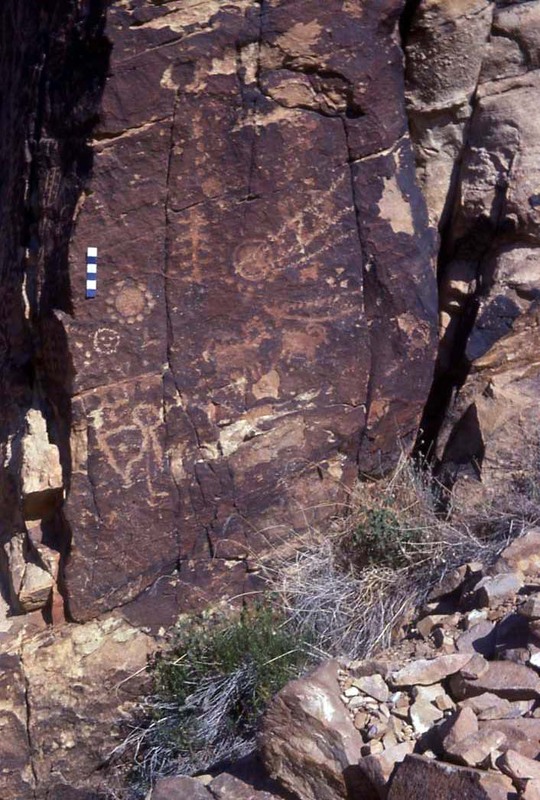 Another panel at the Parowan Gap site. 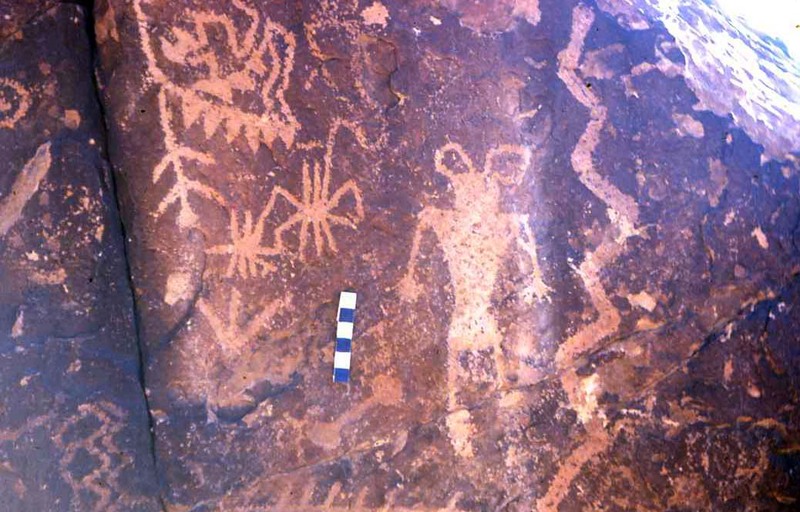 Another panel at the Parowan Gap Site. 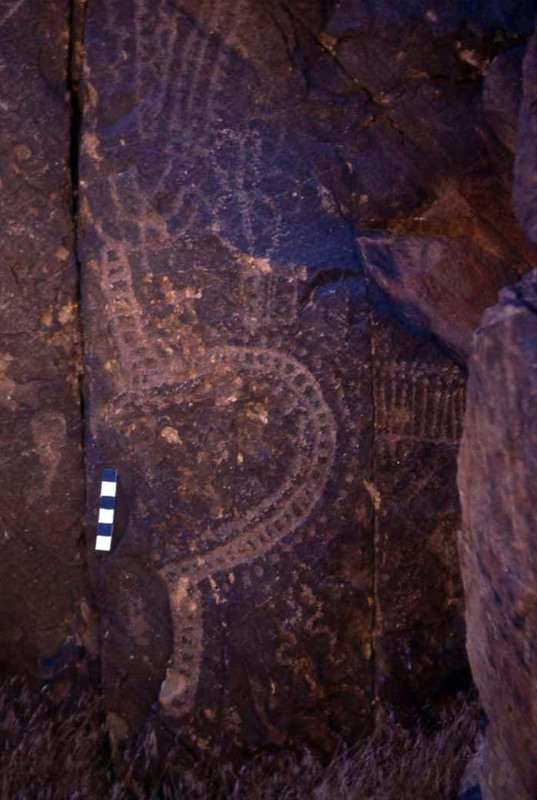 The largest image has been described as a "zipper" though it definitely had another explanation. 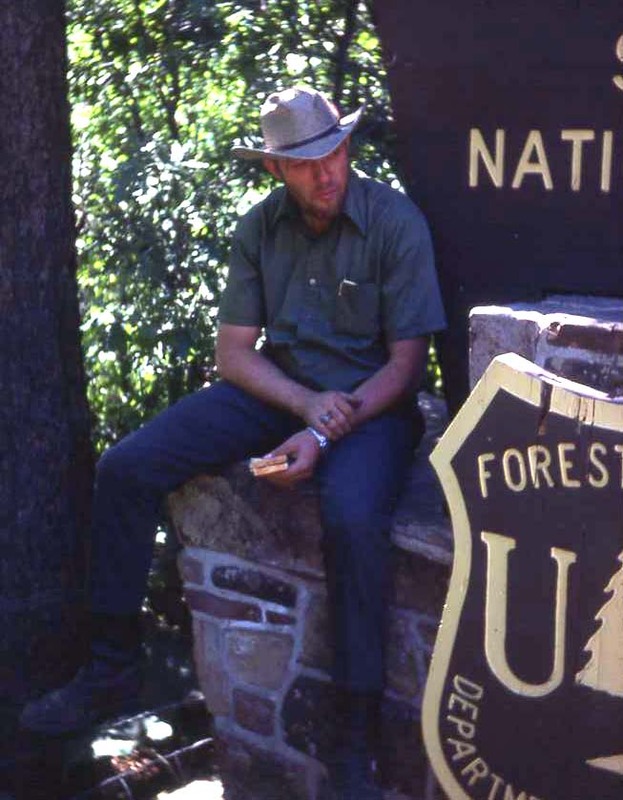 It could represent two drive lanes and a corral. 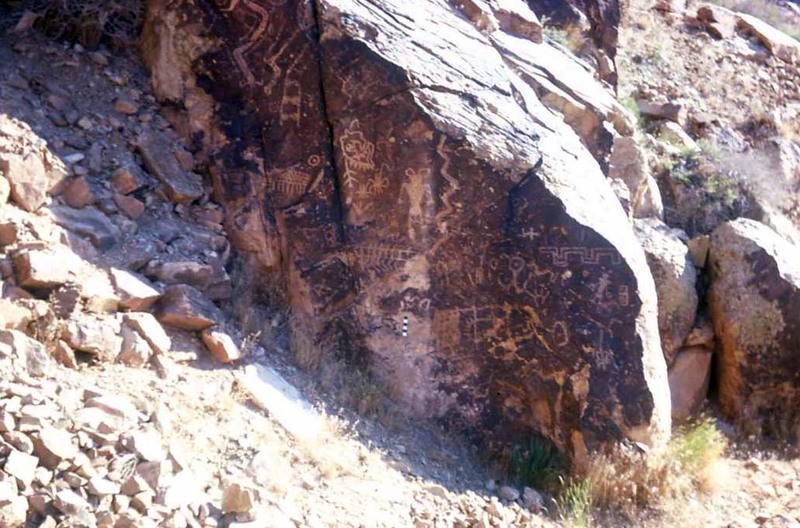 Another panel at the Parowan Gap rock art site. 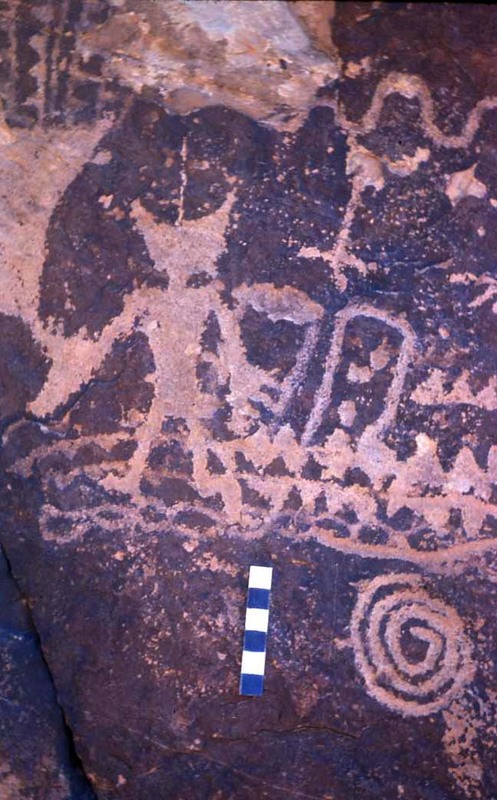 Image of a horned figure at the Parowan Gap rock art site. 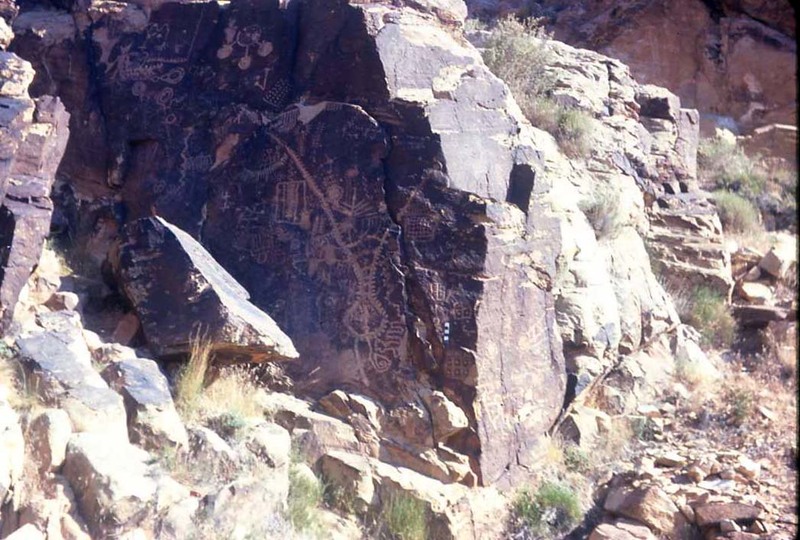 Parowan Gap rock art panel. 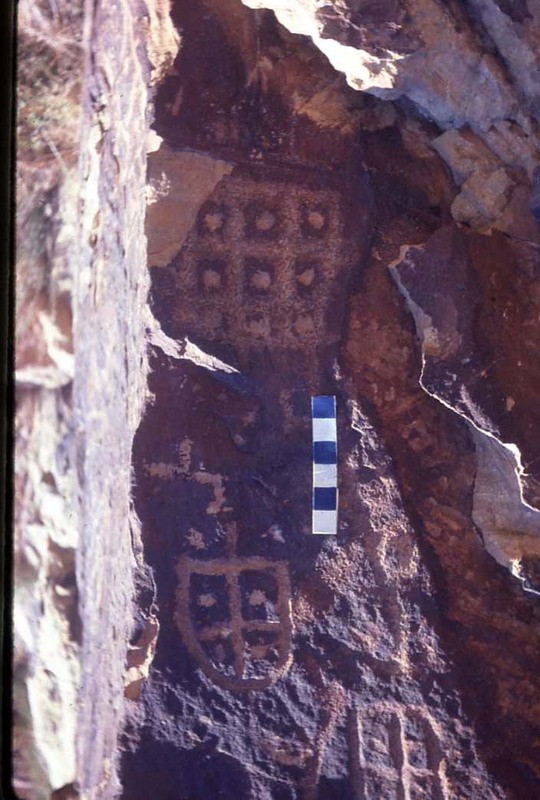 Waffle pattern at the Parowan Gap rock art panel.